The Istick Eleaf Kit, over the years has become a real reference in the universe of the Electronic Cigarette. Perfect for all beginners in vape or experienced, the Istick Kit always offers great performances and ergonomics curling with perfection. The Istick range is composed of the Istick Pro, very well known with vapers. 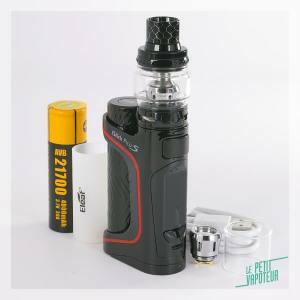 The latest, from Eleaf is however much a sporty version and a best-seller, the Istick Pico S Kit, which is finally available on the Le Petit Vapoteur website. The Istick Range is made by Eleaf. A kit inclusoive of a 4400mAh battery,Melo 4 D22 Clearomiser. An efficient and autonomy model! An Eleaf Box for regular vapers. Do you vape daily, and need to have material which is discreet? Discover the different models of Istick Eleaf Electronic Cigarette which we propose. 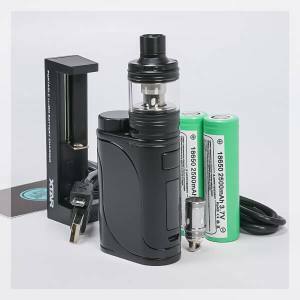 The Discovery Pack includes all the necessary to vape aswell as 2 x Batteries and a Charger which connects to all sources. 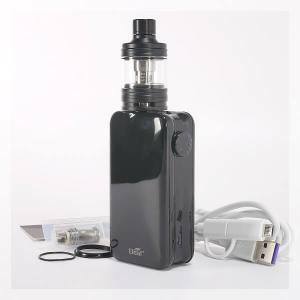 The Istick Eleaf Electronic Cigarette also exists in a kit. The Electronic Box which is not expensive can be good option for beginners in vape. Each Eleaf Box is a product of perfection. Each Electronic Cigarette Eleaf Istick responds to the most of demanding of vapers. With an output power of 80 to 200 Watts, a direct inhaling system and sophisticated Clearomisers , you will find real advantages of the Electronic Cigarette, without any inconvenience. Choose amongst our offers of the Eleaf Box which you can find material suited to your preferences.